In the midst of numerous moves, there has been much delay in consolidating pictures from different cameras. 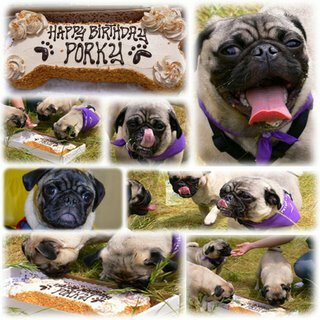 Finally, I’ve got Porky’s birthday pictures! Who does not love Three Dog Bakery? That place rocks! We got a bone shape carrot cake, dog goodie bags, and some other fun stuff for a lovely day at the Pasadena Rose Bowl.